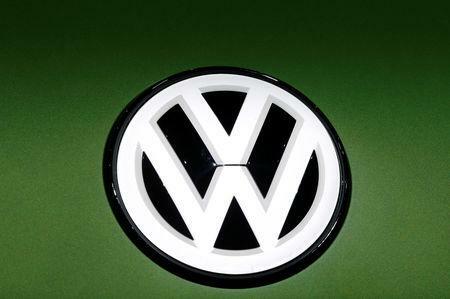 WASHINGTON/FRANKFURT (Reuters) - The U.S. Securities and Exchange Commission (SEC) is suing Volkswagen (VW) and its former chief executive Martin Winterkorn over the German automaker's diesel emissions scandal, alleging a "massive fraud" on U.S. investors. VW "reaped hundreds of millions of dollars in benefit by issuing the securities at more attractive rates for the company," the SEC said, adding it "repeatedly lied to and misled United States investors, consumers, and regulators as part of an illegal scheme to sell its purportedly 'clean diesel' cars and billions of dollars of corporate bonds and other securities in the United States." Winterkorn, who resigned days after the scandal became public in September 2015, was charged by U.S. prosecutors in 2018 and accused of conspiring to cover up the German automaker's diesel emissions cheating. The SEC suit also names VW's VW Credit and Volkswagen Group of America Finance LLC, the entity used to sell the securities. Investors were informed about VW's diesel cheating after U.S. regulators blew the whistle on September 18, 2015. VW's management had sought to strike a deal with U.S. regulators behind closed doors, a process that would lead costs to be "controllable overall with a view to the business activities of Volkswagen Group," a VW document showed.